When Solo was first announced, I was over the moon. I’m a big fan of the Star Wars movies so the idea of having an entire film dedicated to Han Solo, arguably the franchise’s most enigmatic major character, was very exciting. Unfortunately though, as time went on, I found myself less and less interested in the movie, and I realised in the back of my mind that part of Han Solo’s appeal is his mysterious background; I then started to become a little worried that the film might not do the character’s reputation justice. A more cynical side of me less concerned with the Star Wars universe and more with quality films as a whole also wondered whether Solo would just be a predictable, soulless cash grab. I have now watched the film, after months of waiting and having my expectations gradually worn down, and whilst I enjoyed the experience of watching Solo in the cinema, I doubt it’s one I’ll be fondly remembering for years to come. Similarly to Rogue One, I thought that the first hour of the film had some pacing issues. Very little time was given to the relationship between Han and new character Qi’ra, and as this served as the emotional core of much of the film, I felt as though there was little to care about. It takes over an hour before the main objective of the film actually kicks in, and prior character deaths feel meaningless, having no effect on the rest of the narrative and making me wonder what the film did to earn it’s almost two and a half hour runtime. Despite this, once the plot got moving I became genuinely immersed in the Western style action, due to both the incredible CGI work and the performances. Alden Ehrenreich is no Harrison Ford. Now that’s out of the way, I think he did a fantastic job with an impossible role, carving out through his mannerisms and line delivery a more insecure, naive Han Solo. The obvious standout of the cast for me though was Donald Glover as Lando, nailing every aspect of Billy Dee William’s original performance from the body language to the voice, whilst adding a youthful quality to the suave flirt. A scene in which Han and Lando play a card game was easily the most smooth, funny and visually interesting in an otherwise rather brown and dull looking film with a general excess of handheld shots. Woody Harrelson reliably gave a solid performance as Tobias Beckett, the sly and volatile mentor figure for Han. On the other end, I found Emilia Clarke as Qi’ra to be a little irritating, emanating little of the mystery and emotional strength that the admittedly flawed script required from her. The script, ultimately, was the weak link of the film. Few of the many one-liners landed, at least in the screening that I attended, and the romantic relationships in the movie felt tacked on, underdeveloped and unnecessary. The will-they-won’t-they (they won’t, he’s single later on) relationship between Han and Qi’ra suffered the most from this, particularly in inevitable direct comparisons to the iconic Han and Leia romance of the original trilogy. In fact, removing this element from the script may have resulted in a better paced, more reasonably lengthed film. 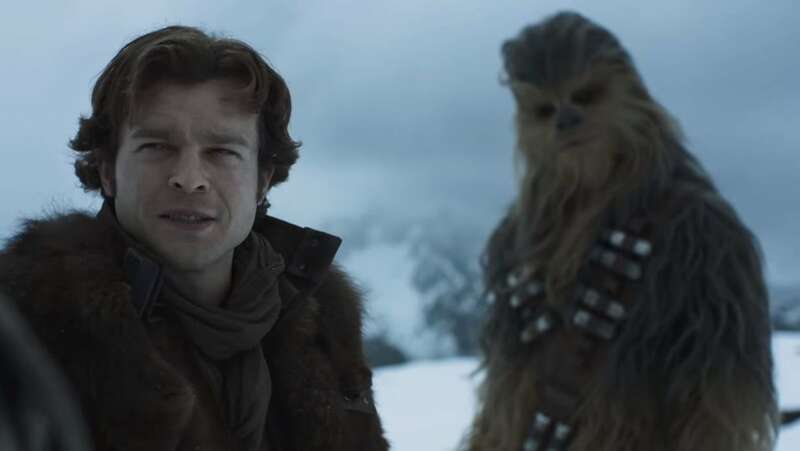 Nonetheless, I had a good time watching Solo, and its detachment from many elements of the Star Wars universe (up until an unexpected cameo) would allow fans and non-fans alike to easily enjoy themselves watching it at the cinema. So to address my earlier concerns, it definitely didn’t spoil Han Solo for me, but it certainly didn’t add anything very insightful to the stuck up, half-witted, scruffy looking nerf herder.